Authorities in New Jersey are investigating reports of spam calls coming from people claiming to be the New Jersey State Police. NJ.com first reported the caller's attempt to obtain personal information by posing as a police office investigating the possibility that the call recipient's Social Security information had been stolen. The scammer tells anyone who answers the call that he has attempted to reach the person by mail, but has received no response. Then the suspects requests that the potential victim provide his or her full name, address, and Social Security number over the phone, in order to identify the call recipient's identity. According to a post by New Jersey State Police on Facebook, the suspects are using the number (609) 452-2601 — which would appear to be originating from the state's Transportation Safety Bureau office. NJ.com reported investigators believe that is not the case, instead the calls are more likely coming from out of state or another country. "The New Jersey State Police will NEVER call you requesting personal information like your Social Security number or your date of birth," police said on Facebook. "We will NEVER threaten citizens with arrest if personal information or money is not provided. Spoofing technology allows a person to have a fraudulent number appear on the caller ID. In other words, the suspect may be calling you from another state or country, but have a local number displayed." 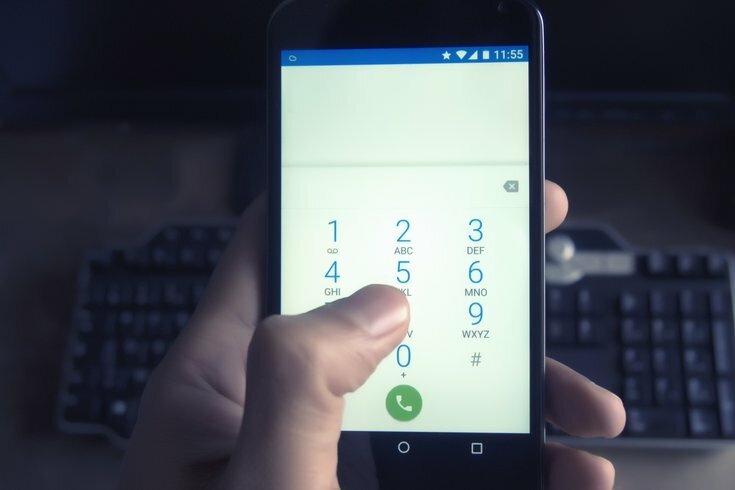 If you receive a similar call, police advise you to hang up the phone and immediately contact your local police department. The calls are still under investigation.